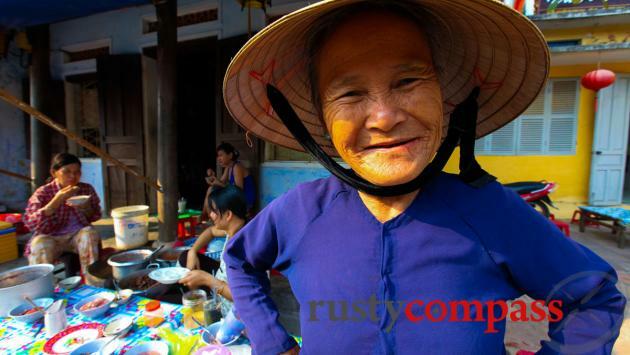 An independent travel guide to Hoi An with candid reviews and recommendations. No sponsored content, no advertorial. 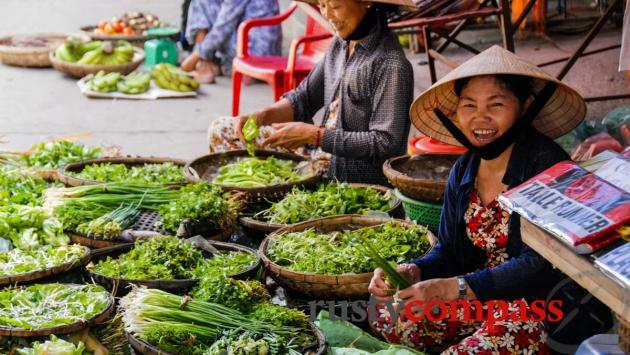 Most travellers will rate Hoi An close to the top of their list of places to visit in Vietnam. It’s a perfect combination of history, architecture, cuisine and beaches. And then there’s the shopping. 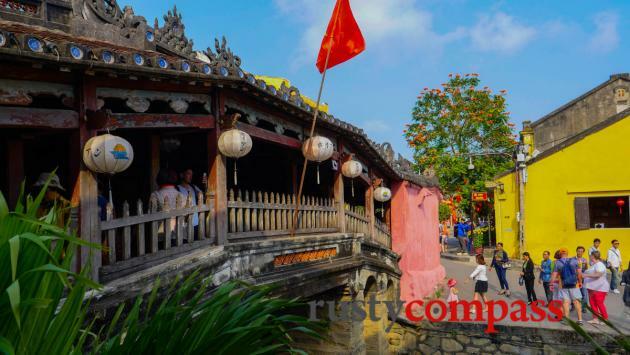 Hoi An's been discovered - there can be big crowds at busy times of year. * Walking the atmospheric old streets of a one-time major South East Asian trading centre. * Cycling in the surrounding countryside. * Savouring delicious local dishes like cao lau noodles, hoanh thanh wontons and com ga chicken rice. * An Bang beach’s laid-back restaurants and bars. Hoi An’s World Heritage listed old streets have been overrun with tailors, trinket vendors, galleries and restaurants all vying for the traveller dollar. And few travellers leave without obliging them. 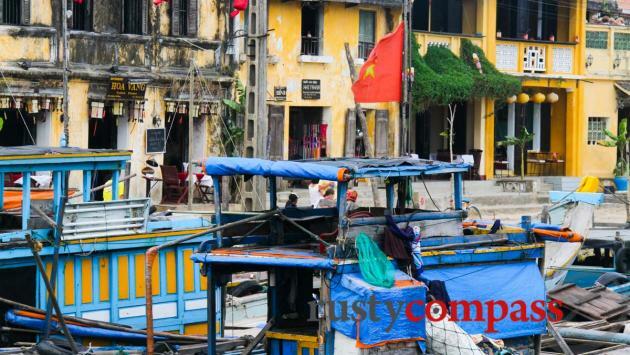 Foreign trade has been the lifeblood of this town for centuries and Hoi An’s tourism onslaught has continued the tradition. The word is out about Hoi An. Each time I revisit, it feels busier than the previous time. There's a good mix of accommodation from budget to deluxe. You can stay closer to town or closer to the beach depending on your interests and the season. The beach is less attractive in winter months. If the beach is your thing, take note that Hoi An's most popular beach at Cua Dai, has fallen victim to severe erosion. While development has been limited in the old town, it's been a free-for-all everywhere else. And over-development has taking its toll on the beach. It's all but gone. Some popular resorts have found themselves suddenly beachless. Check our hotel section for more information. There are major efforts underway to rehabilitate Cua Dai. For now though, beach lovers are heading north. 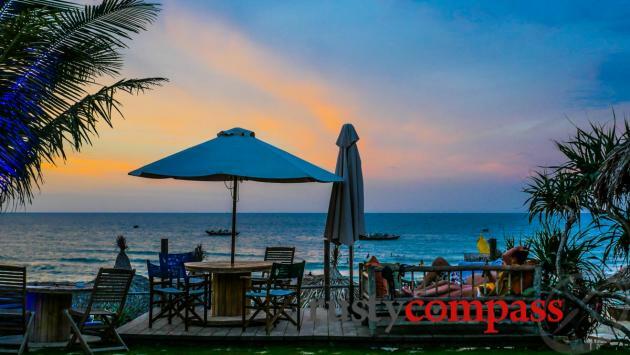 An Bang Beach is now the centre of beach life and a plethora of new hotels and homestays has sprung up in recent years. 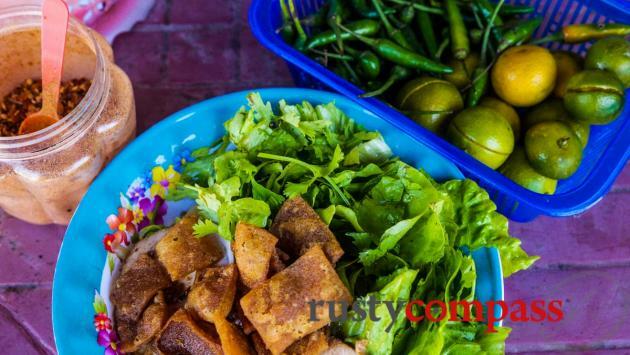 For our handpicked Hoi An restaurant recommendations, check out the list here. For hotel recommendations check our list here. For things to see and do, it's all listed here. And for Hoi An nightlife, check our recommendations here. Hoi An's days as a trading port date back a few millenia. The Cham people who controlled central and southern Vietnam for more than a millenia, established a lucrative spice trade here. But the southward thrust of the Viet people in the 15th century crushed the Cham kingdom and saw the establishment of a Vietnamese trading town - Hoi An - that flourished through to the early 19th century. 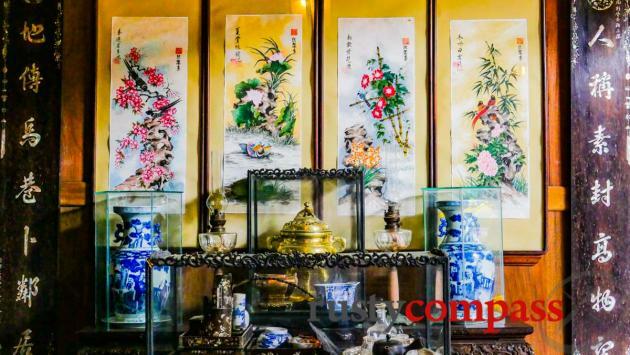 Hoi An’s heyday brought lucrative trade from China, Japan as well as Europe. And treasure for trade was not the only thing to arrive. French Jesuit missionary Alexandre de Rhodes also added Hoi An to his destination for spreading the faith. 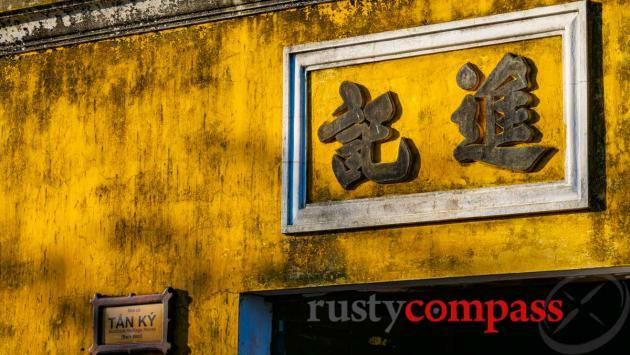 Not content with proselytising, de Rhodes mastered the Vietnamese language and created a new Romanised script from its Chinese based characters. His Romanised system, known as quoc ngu, was later mandated by French colonial authorities as the official written form of the Vietnamese language and it is this script that is used in modern Vietnam. The original script, "nom" while still visible at historic sites throughout the country, is now out of use and only understood by a small number of scholars. In the late nineteenth century Hoi An’s Thu Bon River silted up making it impassable for commercial shipping. The port moved to Tourane - now Danang - and Hoi An languished. Its retreat into small town anonymity meant that its old buildings survived the joint ravages of war and development. 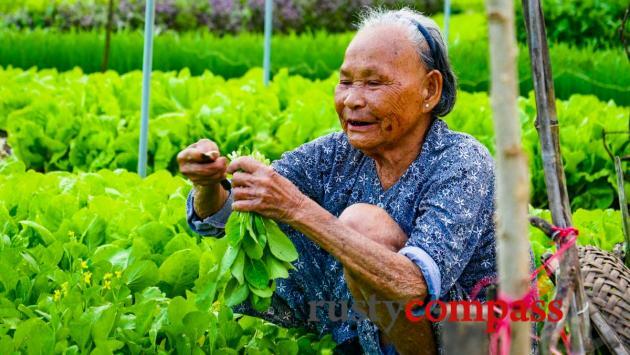 The beautifully preserved town that has been at the heart of Vietnam’s tourism revival is once again a commercial centre, the air crowded with spruiking and foreign languages. 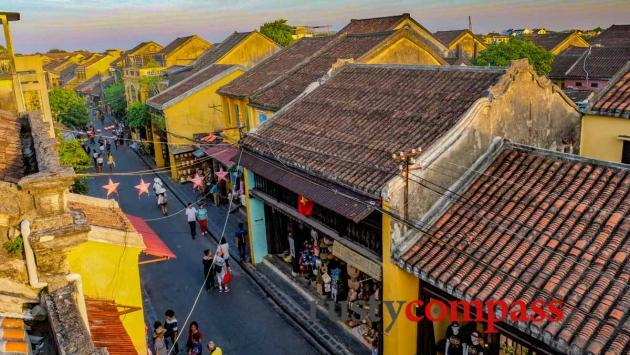 If the destruction of heritage in other Vietnamese cities and towns is anything to go by, the world can be grateful for Hoi An’s World Heritage designation. It has put rigid controls around any changes to the old town. Locals have come to appreciate the value of the tourism dollar and seem content that their town will be prosperous even if it never experiences a building binge of the kind that has shaped most of the country’s urban areas. 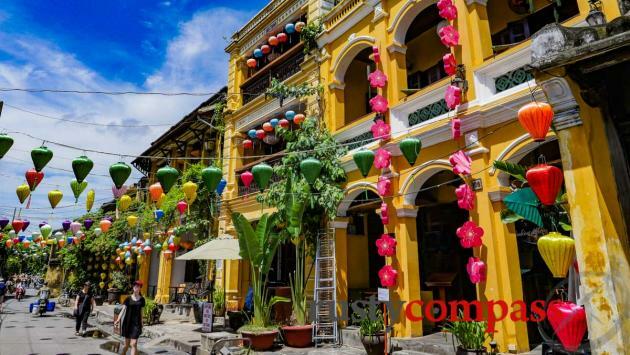 Hoi An’s old town is small and quaint and the absence of cars from its historic streets make it a wonderful place to spend slow time - eat, walk, cycle and explore. You won’t need our encouragement to shop. 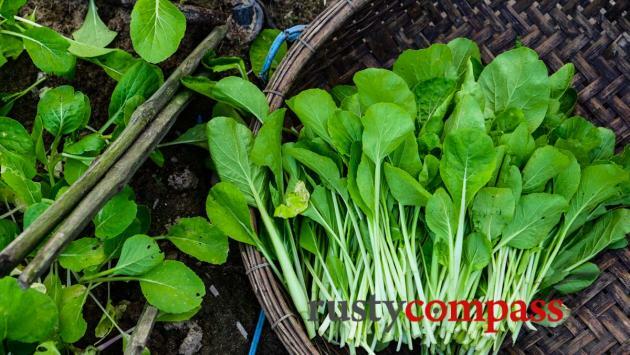 Cao lau and other local culinary specialties are delicious, accessible and available everywhere. 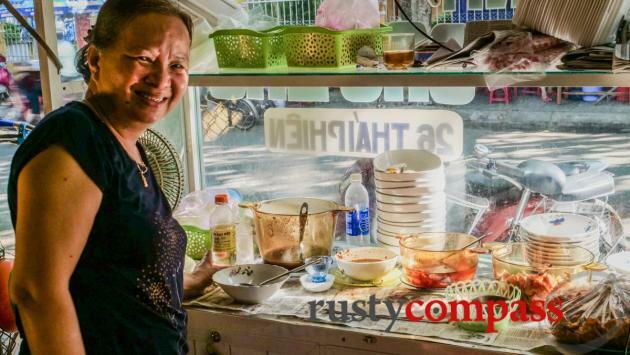 And some of Vietnam’s best cooking classes are run here. Many of the old houses and pagodas are open for visitors using a strangely complicated ticketing system. While the history is rarely more than token, these old merchant homes and places of worship are very interesting. Nearby, a visit to the Cham ruins at My Son is worthwhile and a cycle around Cam Kim Island on the Thu Bon River is a delight. 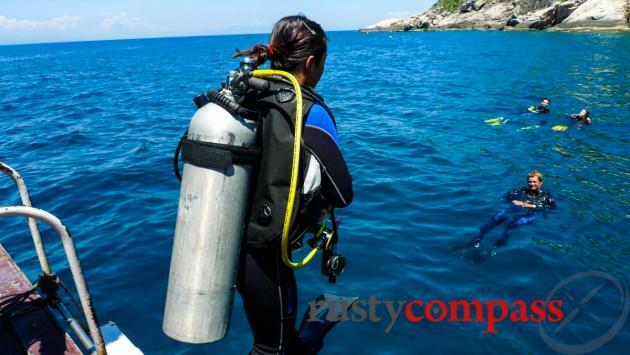 Divers and snorkellers also flock to daily boat trips exploring the coral and marine life off nearby Cham Island. Information for travellers about getting to and from Hoi An by air, road, rail. Most visitors to Hoi An arrive from Danang airport 30kms away. 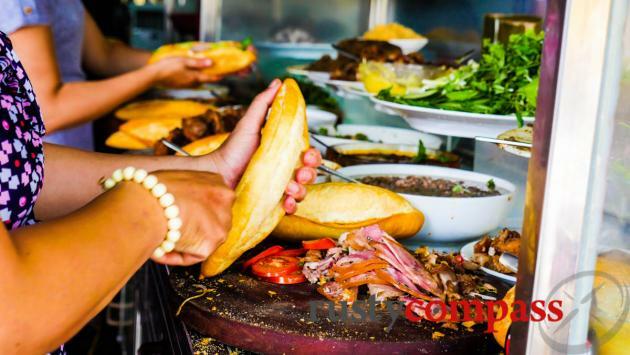 Vietnam Airlines, Vietjet and Jetstar Pacific offer loads of domestic services each day from Saigon and Hanoi and a smaller number from other points like Nha Trang and Dalat. Danang airport is also served by a growing number of international flights. A taxi from Danang airport to Hoi An will cost around 350,000 VND and take around 45 minutes. Many small hotels offer competitive airport pickup services so check with your hotel and see how they compare. Danang’s railway station is the most convenient rail access point to Hoi An. 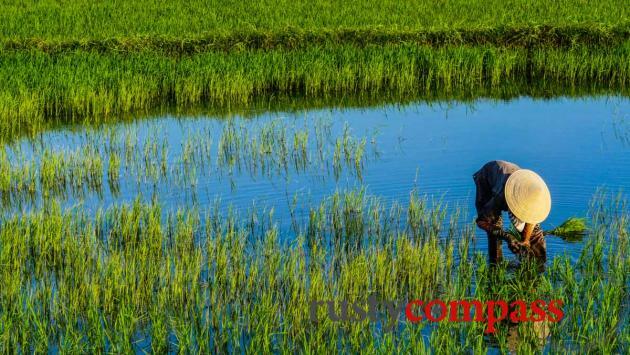 A number of travellers use the rail network to reach Danang and Hoi An from Hue and Hanoi to the north and Quy Nhon and Nha Trang to the south. 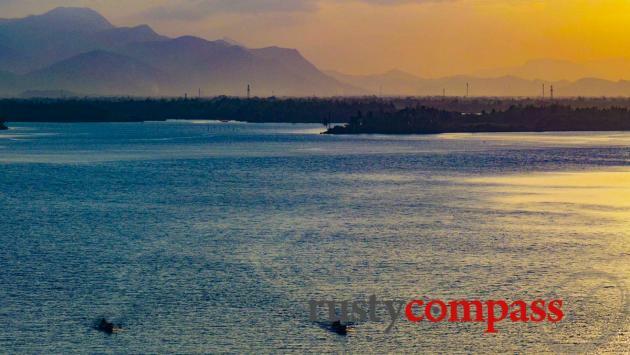 Hoi An is an easy three hour road trip to or from Hue to the north. Plenty of traveller buses operate on the route and the fares are very cheap - less than 200,000VND. It’s easy to book a taxi or minibus as well if you want some flexibility or your travelling in a group. Prices are also reasonable. Road travel south will likely be to Quy Nhon pr Nha Trang - both much longer journeys. Both points are covered by Vietnam's traveller bus network. 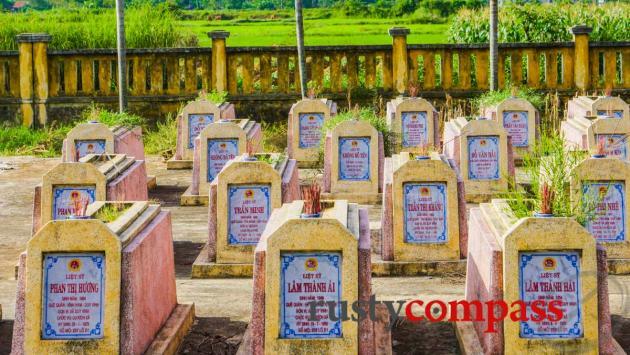 A smaller number of travellers visit Quang Ngai, around three hours south of Hoi An to visit the memorial to the victims of the massacre at My Lai. Getting around Hoi An is a breeze. 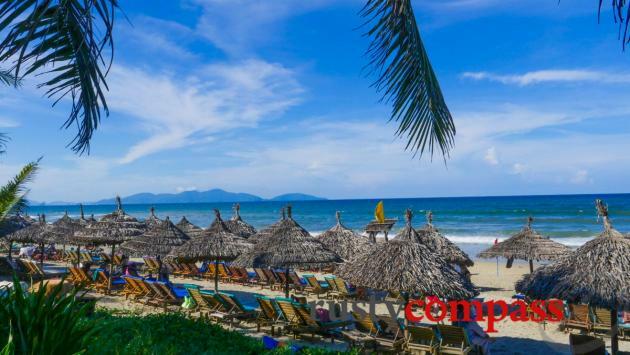 With the exception of the journey out to the Cham temples at My Son, pretty much everything else in Hoi An can be done on foot and bicycle - that includes the An Bang and Cua Dai beach area. There are plenty of cheap and reasonably reliable metered taxis available if you’re not inclined to cycle. Check out our guide to cycling in Hoi An here. Hoi An’s old streets are closed to motorised traffic three times a day. There are never any cars - so at these designated times, there are no crazy motorcyclists either. It makes wandering the old town streets a delight. If you’re staying around the old town, you may also want to head out to An Bang beach which is 5kms away and can be reached on a bike, motorcycle taxi or taxi. Cam Kim Island on the river is now accessed by a new bridge. 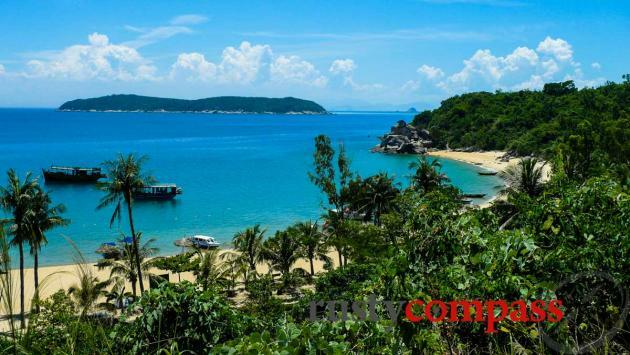 Cham Island 18kms offshore is best accessed on a diving, snorkelling or beach and island tour. These are booked in the old town. 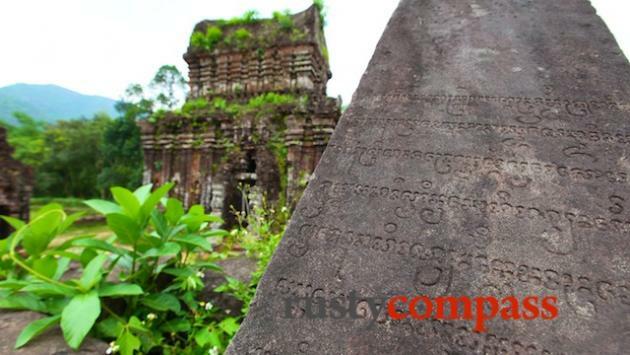 The cheapest way to visit the Cham ruins at My Son is by taking one of the backpacker tours. If you want some more flexibility, you should be able to rent a car and driver for the trip for between $30USD and $40USD. You may be able negotiate a deal with a taxi driver as well. Try and avoid the crowds - which may mean going late or early under your own steam. Hoi An is a safe town for travellers. Even bag snatching and other petty crime - a problem in other parts of Vietnam - are rare in Hoi An. The biggest risk of violence will likely be from one of your fellow travellers. There have been a number of incidents around late night bars in Hoi An - usually with motorcycle taxi drivers. Be careful at night and women should take special care. Don't be alone late at night. The biggest threats to traveller safety come from the roads. The old town is quite safe since it’s completely car free and closed to motorcycles for large parts of the day. But when the motorcycles are plying the streets, there are still plenty of reckless road antics. As the number of cyclists hitting the main beach road grows, hopefully speed limits or dedicated cycling lanes might be implemented. There are no international medical facilities in Hoi An. There is a basic local hospital. Your hotel will be able to arrange a local doctor. For anything serious, Danang will be a better bet though facilities there are also not yet of a standard you might expect of a large city. 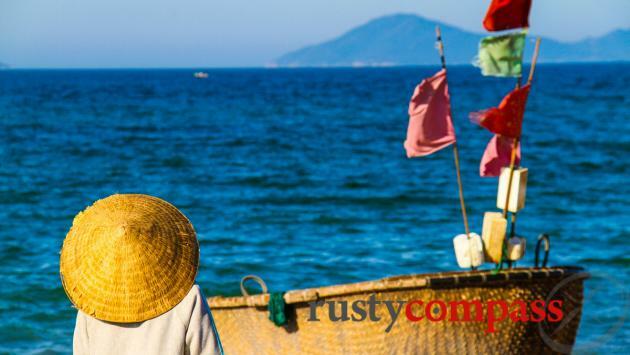 Like everything else about being in Hoi An, communications are a breeze. Almost every bar, cafe, restaurant and hotel offers free wifi. Local SIM cards offering 3G and 4G services are widely available and inexpensive. ATMs are everywhere in Hoi An. There aren’t so many in the old town but around Le Loi St and Tran Hung Dao St there are literally dozens of options. They can be a little unreliable at times with outages so make sure you keep enough cash on hand. Keep in mind that many of the smaller traveller hotels on Ba Trieu St only accept cash - a big pain when you’ve stayed in town long enough to have a sizeable bill. Those that accept credit cards will often whack on a 3 - 5% surcharge.